Lost off Lake Huron’s shore. That morning, I was one of the 1132 passengers (in the year 2017 and 20,538 visitors to date), on board ‘Peerless’, the tour boat operating from Southampton harbour to Chantry Island. This boat ride even before a train ride came my way as a surprise, and there was a reason behind it. Having landed in Ontario a couple of years ago, and after settling down a bit, I had resumed my wanderings and in the process, had fallen in love with the railways in this province. Exploring the present as well as the glorious past, the existing and ghost railway lines and train stations, I had always imagined it to be a train, I would set my foot on first. My imagination canvas pulling up this vivid picture of a steam puffing Mogul 2-6-0 hauling on the Trans-Canadian trunk line, pulling some Victorian styled wooden carriages, English breakfast served on the mahogany table, and other fanciful details. Surprisingly, it was a boat instead, that preceded a railway carriage, as I embarked upon the trip that autumn morning off the shores of Southampton, a lakeshore community in Bruce County, around 200 kms north of the city of London. It was a boat, because together with railways I carry another childhood romance on me, the lighthouses. Having been brought up at Karachi, growing up on the railway stations, my father was posted at, was to naturally flourish in a love I developed for the rails. And there was more to it. It was for these trips to Karachi’s extended shoreline, that majestic island of Manora with that mysterious lighthouse and more, that I was to carry on me a second love. Then there were stories, fascinating and indulging ‘The Count of Monte Cristo’, ‘Old Man and the Sea’ and many more, which would take me further on this fantasy land, the land of seas and those mysterious creatures of the shores, the lighthouses. Back to the present times in Canada, it was natural for me to fall for the romantic shoreline of Bruce peninsula, being in the reachable neighbourhood of London. Bruce County encompasses Lake Huron and Georgian Bay and on these shores there are fifteen lighthouses to explore. 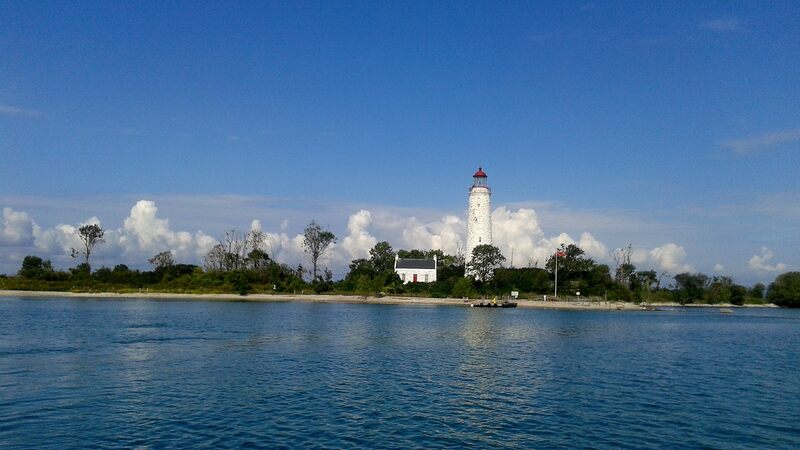 That morning in early fall, the love for lighthouses took me onboard “Peerless” for a guided tour to Chantry Island. I was to visit the replica of a historic lifeboat, a carefully restored lighthouse keeper’s cottage, and climb 106 steps to the top of the lighthouse tower. On a normal day of exploring, I would head out to the intended destination, sweat myself a bit, meet a few people, be amazed by them as much I would be amazed by solitude, dig some stories and take a few snaps, and that would conclude the proceedings. The morning under discussion was a different affair. This trip was a guided tour, and as I was handed my ticket at 86 Saugeen Street by Chantry Island Tours, we were conveniently taken charge of by Helen, our tour guide. A few yards away in a swaying boat on Southampton waters, Peter and Wayne awaited us. For the rest of the day we belonged to them as much as we belonged to the Chantry Island. Dear reader, let me introduce to you, our wonderful hosts from Southampton. Helen, Peter and Wayne were our very kind hearted ‘volunteer’ hosts. Helen was the tour guide who came with an authenticity of a historian on Southampton shores and Chantry Island. It was later, a while into the tour, that we were to discover her storytelling charms. Peter had the dual role; he was chief safety officer while in the boat and a tour guide while on the island. Later that morning, he would accompany our subgroup of three all the way up to the light on the tower. The moment we stepped on ‘Peerless’, we were greeted by Wayne. No, not “The Duke”, but the Captain of our boat. For a moment I thought I was meeting with Ernest Hemingway in the grand setting of his classic “Old Man and the Sea”. Right from the exchange of pleasantries, and introduction of the crew, I felt being transported to a different world. 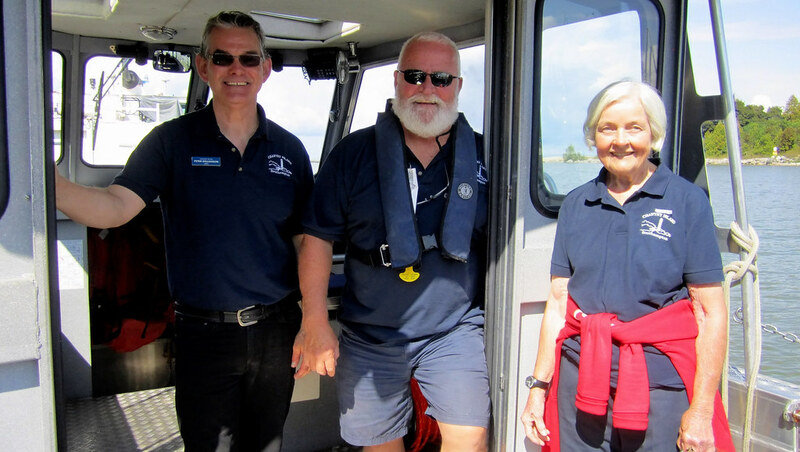 Words, like schooner, shoreline, shoals, shipwrecks, put us face to face with these seamen and woman of the Bruce shoreline, who apart from their excellent sense of humour, took this tour as a serious business. It was a serious business indeed, as we ushered past the pre-departure safety briefing by Peter. Wayne took it a step further, adding “the winds are not as hostile and the sea is not as rough as it was during our tour yesterday”, a perfect garnishing for the faint-hearted, perhaps. A few minutes into the tour, having left the dock at Southampton, we were to discover the tale of Chantry Island Lighthouse, and relive it as if we were a part of that story. All came as a pleasant surprise and this company of the ‘magnificent three’ was the best of the things to have happened to us that morning. Chantry Island Lighthouse was a response to the public calls for navigational aids in the treachery waters and was one of the earliest towers built on the Lake Huron and the Georgian Bay. These lighthouses, initially approved to the count of 11 were called Imperial Towers. The title ‘Imperial’ primarily reflects the British imperial architectural style followed in their construction, all sharing the same blueprint with tiny variations. At the time these towers were built, Canada was still a self-governing colony of Britain. My dear reader, if you are thinking that the term Imperial has to do something with the British Government funding the project, please rethink, as it was never the case. Mr John Brown was contracted by the Department of Public Works to construct a total of eleven lighthouses on Lake Huron and Georgian Bay. During the construction of these structures,the cost escalated dramatically. The lights alone, (which were state of the art equipment, and we shall come to the details later in this article) caused Brown to lose 1500 pounds sterling on each light. The cost of six lighthouses in total soared to a hefty sum, almost nearing quarter of a million dollars. More Canadian funds were provided, but no British or Imperial funds were ever used. Brown ended up losing money and as a result only six out of eleven Imperial Towers could be completed. Out of the towers that were built, Chantry Island and Point Clark were the very first, sharing the same date these were lit, 1st of April 1859. Other towers included Christian Island, Griffith Island, Cove Island and Nottawasaga Island. Dear reader, it was Chantry Island we were heading to that morning. Helen, while explaining the universal inaugural question of any lighthouse tour, ‘why a lighthouse at Chantry Island was needed?’, presented a pictorial caveat; “shipwrecks of Lake Huron”, the number of which was aplenty to explain the answer. Of all the Canadian ports off Huron shoreline, it’s Saugeen Shores that carry the nickname ‘shipwreck-haunted Saugeen’. Southampton alone has over a hundred recorded shipwrecks off its coastline. Apart from the treacherous duo of weather and Huron waters, the tricky approach to Southampton contributed to the plight of sailors. The formidable shoals, Chantry Island shoal towards the south, and Lambert shoal towards the north, were quite tricky to tackle with while approaching Southampton dock. Among all this, the lighthouse at Chantry Island came nothing short of a blissful refuge. The light at the Chantry Island was multi-purposed. First it was a coastal light to help mariners pinpoint their location along the east side of Lake Huron. Second, it warned of the many shoals in the north and south of this island… Third, it marked a refuge for mariners on the lee side of the island. Having left Southampton dock, as our boat set the bearing straight for the island, Helen came up with another fascinating story, this time it was about the first lighthouse keeper on Chantry Island. 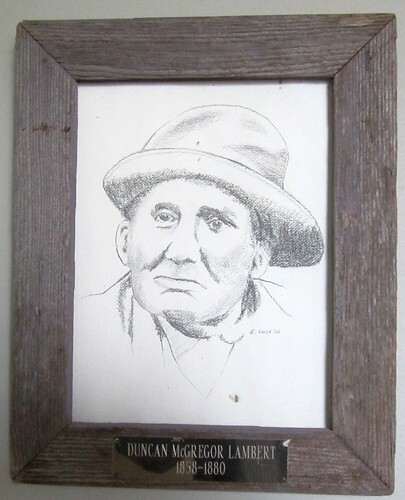 Duncan McGregor Lambert was our man, officially the first keeper of the light. A brave soul in line with the task he undertook, and there was more to it. So, my dear reader, once upon a time, there was a steamer that went by the name of Bruce Mines, and our man Lambert was the first Mate on it under the ship Captain Frazer. In the November of 1854, after offloading the supplies of copper mines at Toronto, on way back the steamer halted on the port of Goderich. It was November 27, when having loaded the goods, and 26 passengers onboard, the steamer resumed its journey northwest.Later that evening a raging storm in the waters of Lake Huron at Stokes Bay got hold of Bruce Mines on her fateful voyage, tossed the vessel for hours causing a fatal leak. By morning the ship was sinking low in the Huron waters and Capt Frazer was quick to order “overboard with the cargo!”. This bought them some extra time but the ship had to be abandoned with the crew and passengers boarding the two lifeboats, which did not promise much in those merciless waters. Capt Frazer maintained the order in the time of panic and assigned one boat to Mate Duncan Lambert of Goderich while taking charge of the other. What followed next comes to us through the narrative of one of the 15 passengers in the lifeboat commandeered by Lambert, as it was later published in the Globe of Toronto. Lambert who was in charge of his boat brought it to Devils Island, a 15 miles stretch made possible by the members in the boat taking turns at rowing and continuously bucketing out the accumulating water. They were joined by the other boat in the morning. A realization that morning that they wouldn’t be found on the Devil’s Island and pretty much nowhere else, until they decide to row around Bruce Peninsula, all the way upto Owen Sound, hit hard on their hopes of survival. Daylight enabled the party to appraise the lie of the land and waters. There they were, fifteen weary but doughty men, shipwrecked without an ounce of food on a desolate islet. 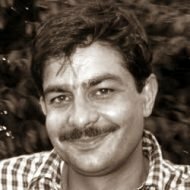 Of them all only one – the mate, Duncan Lambert – knew anything of the Georgian Bay at whose rugged portal they lay stranded, and not even he knew in detail the course to the nearest inhabited port. That, by his rough reckoning, was porbably Owen Sound. Row all the way upto Owen Sound, is what they did. A remarkable feat of endurance, whereby they battled the cold and stormy lake waters in mere lifeboats for 4 days, covering all the distance around the Bruce Peninsula from Lake Huron to Georgian Bay, with almost no food at their disposal. They made it to Owen Sound, ‘4 days and 5 hours’ after the Bruce Mines went down. In this heroic tale of perseverance, a key part was played by the person in charge of the second lifeboat, First Mate under Captain Frazer on Bruce Mines, Duncan McGregor Lambert. Helen’s eyes twinkled as she stated that in deciding the first keeper of the light at Chantry Island, who could have been a better choice other than Mr Lambert. 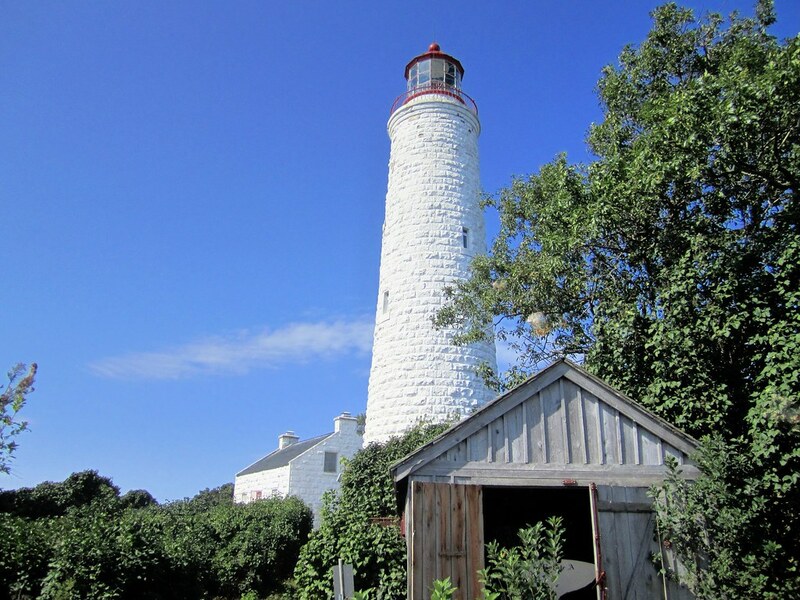 The first (unofficial) lightkeeper on the island was Robert Mills, who maintained a temprary post from 1855 – 57. His duties were to maintain the temporary light that essentially was a seaman’s lantern. Lambert took his post on Chantry Island light in 1858. He knew the waters well, tended the light in the good of times and weather and the bad ones, battling all odds and while executing his tasks performed some heroic rescues (of which we shall talk in a while). After 22 eventful years of lightkeeping, a few years after losing his son Ross in one of the ship rescues, he would transfer his duties in 1879 at the age of 70, to his able son, William Lambert, the second lightkeeper at the Chantry Island. Disemabrking on the island, we were face to face with the three structures one after the other. Boathouse in foreground, the tower in the center and the lightkeeper’s cottage in the background. In the logical sequence as per the layout, the first stop was the boathouse. It houses a lifeboat, that although is a replica, but carefully crafted as per the construction blueprint of the original. It was the result of selfless and relentless efforts put in by the volunteers of the restoration project. The boathouse was not here, neither was the lifeboat, when Duncan Lambert took on his duties as the lightkeeper. Other than tending the light on the tower, one of the other responsibilities taken over by him was attending to the ships caught up by tricky shoals in the area, primarily the northern shoal on Chantry Island itself. To save the shipwrecked crew and passengers, Lambert would often be accompanied by his wife and sons, with family using their sailboat, a makeshift but only resource available to them. In 1864, upon encountering two ships in grief on the same night, ‘American Eagle’ and ‘Altair’, Lambert successfully pleaded with the government for providing a lifeboat on the island. 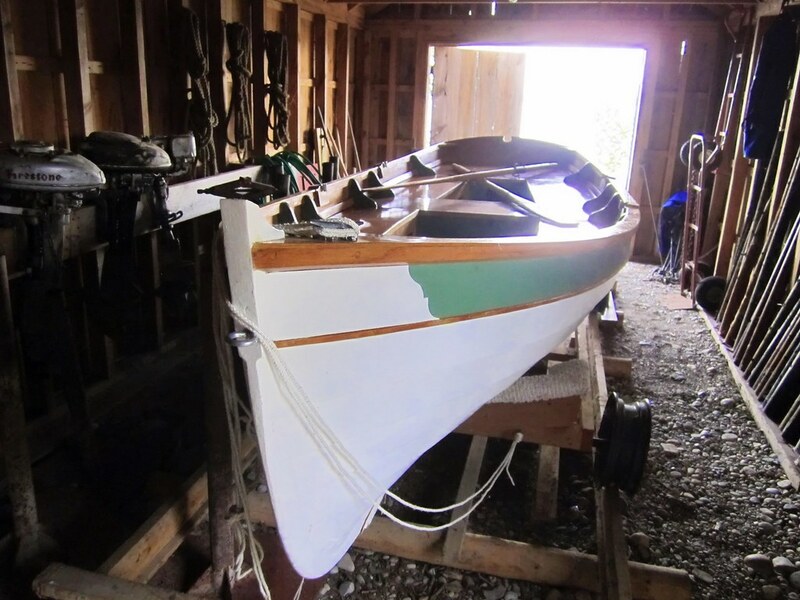 It was the replica of the same lifeboat, built to the original design that we were looking at in the restored boathouse of Chantry Island. A lot many lives were saved on this boat, a lot many souls put to safety away from the aggravated waters of Lake Huron. This boat was the first hand witness to the heroics performed by Lambert, an extended responsibility above and beyond his job description as the Chantry Island Lighthouse Keeper.